Subject: Cyrrus overcomes the Impact of wind turbines on primary surveillance radar. Both offshore and land based wind turbines are an essential part of Green Energy policy. Obtaining planning permission for wind farms is often difficult due to objections from nearby airports and airfields; the rotating turbine blades are detected by surveillance radars and are difficult to filter due to characteristics similar to that of aircraft. The challenge was to find a cost effective solution that maintains aircraft target detection, meeting the requirements for target latency, probability of detection (Pd) and false alarm rates. This problem required new thinking from our radar experts. Many airports already accept multiple Primary Surveillance Radar (PSR) and Secondary Surveillance Radar (SSR) data feeds. Wind developers are often prevented from developing wind farms because the surveillance radars ‘see’ the turbines, compromising the visibility of real targets and seducing tracking algorithms. The Cyrrus SMARTENERTM solution (www.smartener.co.uk) uses the fact that wind turbines are seen but, the probability that multiple radars see the turbines blades at the same time is very low (<10%). Data analysis of real target data and modelling showed that with just three PSRs, targets are reliably tracked across large wind farms. Crucially, the SMARTENERTM solution does not require SSR data to meet requirements. The SMARTENERTM software is part of the AERIUMTM suite of products that operate on our small rack mounted, high reliability CUSP hardware platform. This versatile platform accommodates various data types and formats found in the surveillance domain. Unlike standalone mitigation solutions, where an additional radar sensor is used to cover the area above the wind farm (e.g. terrain shielded), the AERIUMTMtargets are fully tracked and appear as normal tracked targets from a single sensor. Consequently, no change is required to the existing Surveillance Data Processor (SDP) and there are no discontinuity problems across the wind farm boundary – transparent to Air Traffic Control users, something often claimed by others to be impossible!! As the integration of data is external to the SDP, engineers can use recognised surveillance radar analysis tools to provide quantitative evidence of compliance to specifications and regulations. For many alternative solutions, this data is not accessible and only a qualitative assessment on the radar display screen is possible. This makes safety assurance difficult and real-time performance monitoring by built-in test equipment impossible. Recognising that there are a significant number of legacy serial radar data sources, as well as the more recent IP based data sources, Cyrrus developed the CUSP hardware platform to accommodate both. AERIUMTM also provides format conversion (e.g. RDIF to ASTERIX) and multiple serial outputs. For high System Availability, AERIUMTM can select an alternative surveillance source, providing advisory status information to users and engineering facilities. The AERIUMTM suite of software provides a means of integrating wind farm mitigation solutions with existing SDP equipment for new and legacy surveillance sensors. This solution significantly simplifies transition into service and delivers real-time performance monitoring with comprehensive built-in test equipment. Targets are tracked across boundaries avoiding the discontinuity effects present on alternative solutions. With SMARTENERTM there is no need to pay for additional sensors that require large capital investment (>£2M) and on-going expensive maintenance costs. 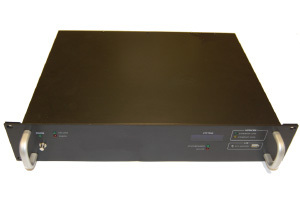 The small rack-mounted CUSP unit uses existing data feeds to provide Air Traffic Control with surveillance radar displays that show seamless transition across the boundary with true aircraft tracking. Where SSR, ADS-B or WAM is available, the PSR detected target position is still used but, targets can be labelled with height and flight ID. Where height information is available from the latest 3D PSR systems (e.g. Aveillant’s TheiaTM PSR or Airbus’ ASR-NGTM PSR), collaborative sensor information is validated and can be used to enhance coverage and provide target labelling. The Cyrrus solution can be deployed within a few weeks compared to many months where new sensors are required. Performance assurance trials can be undertaken within four weeks where radar feeds are already available. Both Capital and Operational expenditure costs are significantly reduced which, over the lifetime of the wind farm, can realise savings of many millions of pounds.